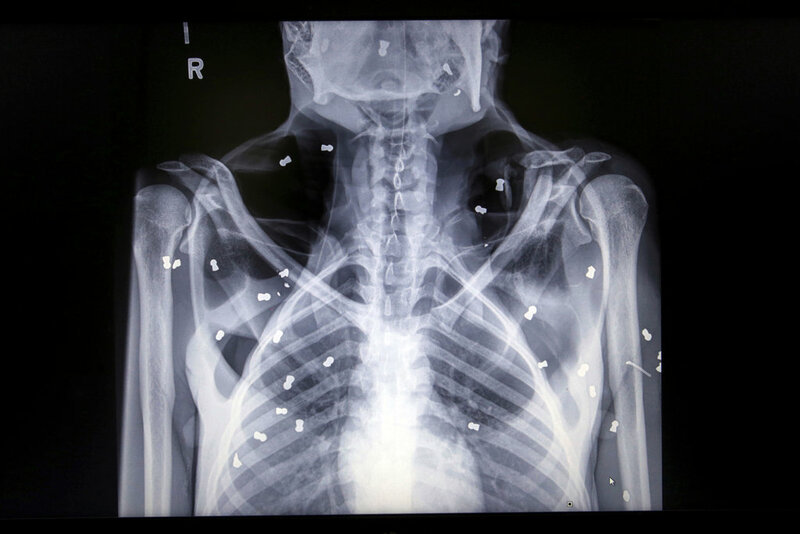 Sumatran Orangutan ‘Hope’ Rescued with 74 bullets in her body. Now blind, she survived, but her baby didn’t. 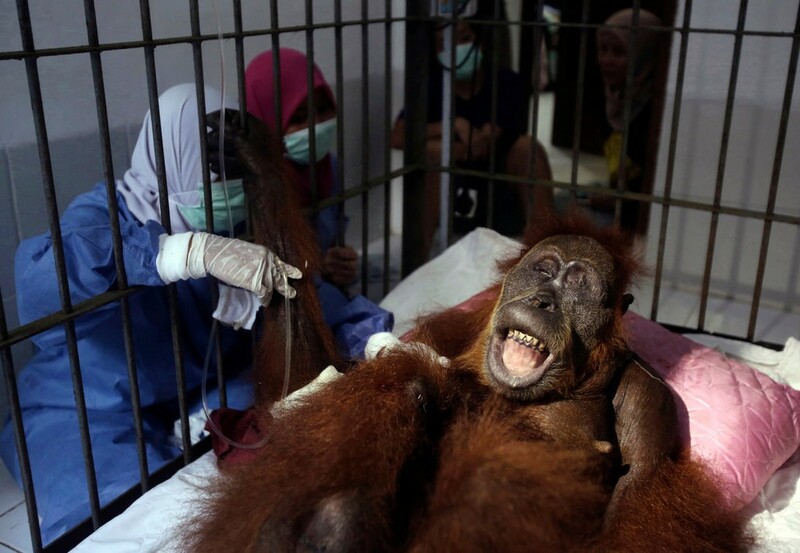 March 18, 2019 — The New York Times – An endangered orangutan who rescue workers named Hope was found blinded and near death last week on an oil palm plantation in Aceh, Indonesia after she was stabbed and shot 74 times by an air rifle, according to the Orangutan Information Centre. Her malnourished month-old baby was by her side, it said. Mother and baby were rushed to a veterinary clinic by the group’s Human and Orangutan Conflict Response Unit (HOCRU) soon after they were found on March 10 in the village of Bunga Tanjung in Aceh province, on the island of Sumatra. But the baby, which the group said was found in “serious traumatic and malnourished conditions,” died on its way to the clinic. Yenny Saraswati, SOCP's veterinarian, told The Associated Press after the operation that Hope had two pellets lodged in her right eye and four in her left. Please make a donation to SOCP for Hope!